My experience at BridgeYear turned out to be exactly what I wanted when I decided to apply to startups in the education sector. I am very interested in the EdTech industry, and I wanted exposure to the education system, the different organizations in the industry, and to expand my network. In addition, I love learning about startups and have usually only worked at larger firms before. I wanted to witness the type of work, resilience, and mindset it took to start a venture, and be a part of that growth. I was able to experience working in a smaller team in which I had significant projects and responsibilities that extensively and rapidly developed my skills. It also provided immense personal growth, as I received constant, actionable feedback and was given opportunities to take initiative. BridgeYear gave me a memorable internship, and has made me feel more confident and prepared moving forward. During my time here, I learned about many facets of the organization, a large part of which is the nonprofit and social justice aspect. I am able to work on projects to grow the organization, while also having direct interactions with the students we are targeting. This is highly rewarding, but also taught me different elements of the issue while going through the processes with each student. In addition, I learned about the workings of a nonprofit in terms of the organizational structure, how the board functions, the finances, and how it differs from for-profit companies. At BridgeYear, I was mainly responsible for communications. Some of my work for the organization is showcased through the redesigned website and the social media strategy. This has helped to strengthen the brand and mission, spread awareness, and attract more donors and supporters. 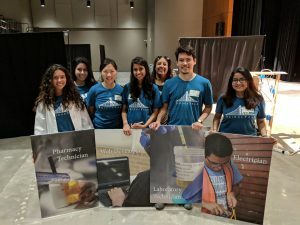 I also had the opportunity to be part of projects that were implemented for the first time at BridgeYear, including coordinating the Volunteer Build Day event and creating the first impact report. This was extremely exciting, as I learned and developed numerous skills, but was also able to offer my perspectives and opinions. One of the most important things I learned during this internship is the extent to which someone must be passionate about the work they do. This is crucial for any type of work and industry, as one needs to reflect on what drives them to perform their best. However, it is especially true for nonprofits and entrepreneurs. Working at a nonprofit requires great passion for the mission, as it revolves around helping a community and raising funds, rather than making a profit. Passion and grit were things I often heard about in classes or read in articles as what you needed to create and sustain a startup. I was able to witness this firsthand at BridgeYear by seeing the mission-driven mindsets, diligence, and drive of the cofounders and the team. This internship has been an amazing learning experience, and has made me excited for what is to come in the future. During my internship at BridgeYear, I enhanced my skills, expanded my knowledge about the industry, and learned more about how I work best. My role has allowed me to develop a number of skills including critical thinking, project management, and leadership. These skills were actually what I chose as areas of growth at the beginning of the internship, and were reflected as strengths in my 360 evaluations. My projects enable me to use each aspect in anything I do. Since BridgeYear is a startup, I need to manage multiple projects at once, developing my time management, organizational skills, and efficiency. Similarly, because the organization is implementing certain processes for the first time, one needs to work without prior examples or structure – like developing a social media strategy or creating an impact report, for example. I find this extremely exciting, as I enjoy starting up new projects and leading them to execution. My leadership skills have also improved immensely. My projects rely greatly on collaboration and delegation of dependent tasks, as they overlap with various aspects of the organization and require different areas of expertise. We are given opportunities to present our progress, ask for feedback, hold brainstorming discussions, and discuss team-asks during meetings. This provides a platform for one to delegate tasks, but also creates an environment in which that becomes easier. In addition, another intern and I are responsible for organizing a “Volunteer Build Day” event, which allows BridgeYear to double its capacity. I look forward to this, as it will allow me to further exercise my leadership abilities, while learning more about event planning and coordination. Along with the management and business-related skills I gained, I have also been able to practice skills related to social justice. I advise around fifty students, which helps me greatly improve my communication skills. However, it also makes me more invested in my work, as I get invested in each of my students. This helped me realize the importance of resonating with the purpose and mission of my work, as it motivates me to perform to my potential. In addition, I learned more about the type of environments and styles that drive me to perform to the best of my ability. For example, I really enjoy leadership positions, particularly in smaller teams. It gives me a balance of being able to manage projects and assign tasks, while remaining part of the execution and collaborating. I also enjoy the combination of independent work and meetings, as the mixture allows me to be most productive. I have learned immensely from this internship, most of which I can apply moving forward. I gained numerous transferrable skills that can be applied to any kind of task I perform, learned more about the industry I am interested in, and discovered plenty about how I work best. This is all extremely helpful when looking for the right job opportunity and knowing how to adjust to perform to my best potential. BridgeYear’s social justice goals focus largely on economic mobility and summer melt. Both issues have numerous implications, which BridgeYear is steadily trying to address. Economic mobility can be achieved through various methods, one of which is getting a degree from a traditional four-year college. 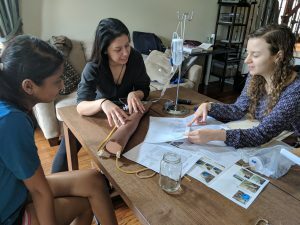 This is one of the most common and widely accepted routes; however, there are students unable to afford this path, while some may not be as interested in higher studies. 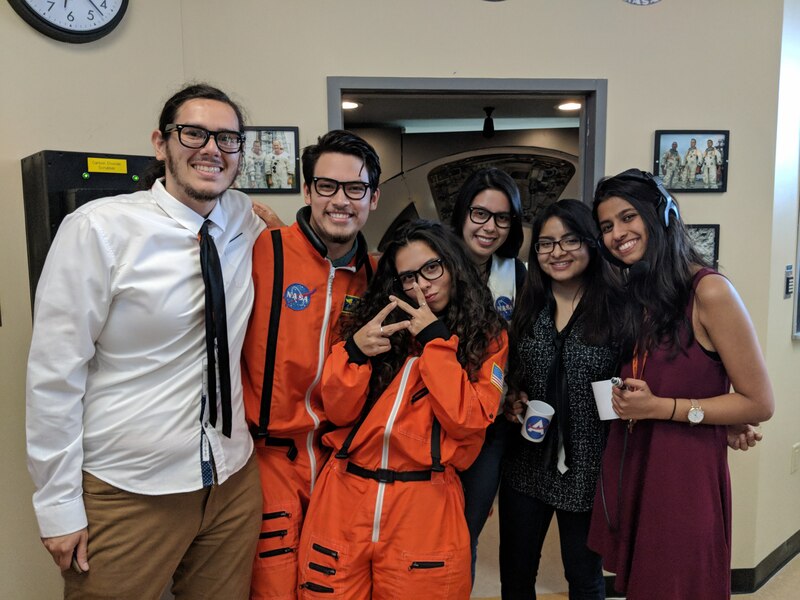 BridgeYear aims to introduce students to other options, such as community college, vocational training programs, and employment opportunities. They do this by organizing Career Test Drives (CTDs), in which students are exposed to options and information, while being able to experience different careers first-hand. Summer melt, when eligible graduates who intend on attending college do not end up going, occurs with a large number of students. This is due to a lack of support and direction after, or even during, high school. This results in a vicious cycle, as they are unable to move up and work in higher-paid jobs. 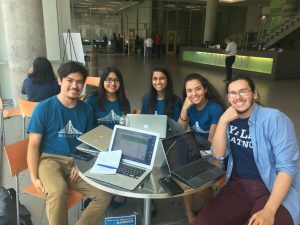 BridgeYear tries to alleviate this by providing near-peer advising to students. This allows students to discuss their future plans while they receive actionable steps on the ways to get there, reminders for due dates, tips, strategies, encouragement, and a resource for questions. This, paired with CTDs, creates a tangible path students are motivated to work towards. Progress for these issues will arise in a variety of ways from a student being more invested and confident in their abilities, to a student entering a high growth career path. Since BridgeYear was only founded two years ago, it is difficult to see the full effect of the program on students, but metrics that indicate success would be increased numbers of students enrolling into community colleges or seeking help to enter a high growth job. In some years, hopefully, we will see progress in terms of the high growth employment gap closing, and steady economic mobility. These are challenging, long-term goals, which is why the smaller steps building to them are crucial. This includes exposing students to information and the variety of options available, supporting and encouraging them to be ambitious, and giving equal attention to all students. As interns, we are able to contribute by operating CTDs and being advisors. I am able to learn so much simply by having a casual conversation with a student about what they want to do when they graduate, or the barriers they come across. We are also able to contribute towards the organization and mission through our individual projects, of which mine focuses on communications. This does not intuitively seem directly linked to the cause, but helps in terms of educating and getting people invested in the issues, building awareness and support of the brand, and possibly leading donors to support the organization, or issue, in other ways. My experiences at Brandeis have altered my perspective in numerous ways. For this particular internship, my role as a coordinator for General Tutoring (GT) had the greatest impact. It provided me with the skills and exposure most closely tied to the work I do at BridgeYear. General Tutoring is part of a larger program called Waltham Group, which is the umbrella organization for about twenty smaller groups tackling various issues in Waltham. 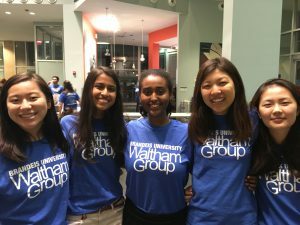 Members of Waltham Group are exposed to the range of social issues existing in the community and the ways in which one’s program and individual role fit in. Being part of an organization focused on community service allows me to draw connections with nonprofits in terms of budgeting, advertising, recruiting, and collaborating with the stakeholders involved. General Tutoring specifically is related to BridgeYear in many ways. GT aims to provide free tutoring for K-12 students from the Waltham community. We do this by matching student volunteers from Brandeis with a tutee, according to the age and subjects volunteers prefer to teach. By leading a program in the education sector, I witness the struggle students face when they are unable to keep up in school and cannot afford a tutor, as well as their gratitude when they receive that help. As an advisor for BridgeYear, this has contributed to my understanding of students facing similar adversities in terms of lack of support and direction for their post-high school plans, which enables me to guide them better. General Tutoring’s organizational structure is interesting and shares similarities with a nonprofit startup. Although GT has existed for a number of years, the coordinators are continuously changing as they graduate, which constantly recreates the program’s leadership, strategy, and focus. 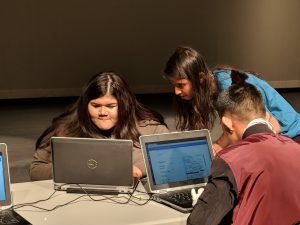 The program serves over four hundred tutees and is run by a small team of five to six coordinators, which means each member plays a crucial role. GT was one of my first and longest experiences being in a leadership position, and made me realize that I enjoy working in a role in which I can implement changes, make decisions, help and guide my team members, and have an impact on the future direction. 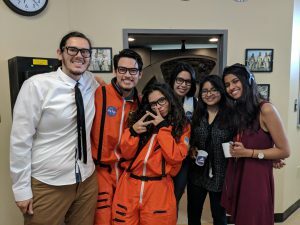 Similarly, at BridgeYear, I work alongside a small team in which interns receive opportunities to lead meetings, handle individual projects, and become a critical part of the organization’s functions and strategy. My project management and collaboration skills improved immensely as a coordinator, which helps me with the work I do at BridgeYear. At GT, as in BridgeYear, we are responsible for various individual projects to advance the program. We also handle operational tasks such as matching tutors and tutees and contacting them, planning events, and communicating with stakeholders. I need to be efficient in organizing my time, as both aspects of work require equal attention and time. Being both a part of GT and BridgeYear has helped me realize I get the most enjoyment and work my hardest when I see purpose and meaning behind my efforts. 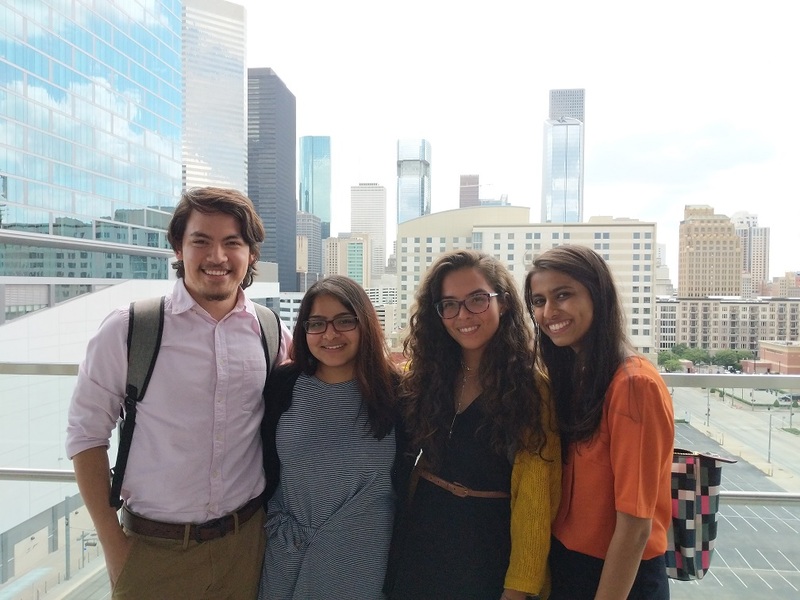 This summer, I am interning at BridgeYear, a nonprofit startup. BridgeYear was founded two years ago to change the way high school graduates approach college and careers. The organization focuses on broadening and showcasing options beyond a traditional four-year college to lower-income high school graduates in Houston. First, it addresses the expectation that students should know which career to go into, without having any prior exposure. Secondly, BridgeYear aims to alleviate the issue of “summer melt,” in which students who plan on attending community college after high school, end up dropping school due to lack of support and direction. Lastly, it highlights the employment gap in high-growth jobs, which could provide higher wages and a better option for some students. 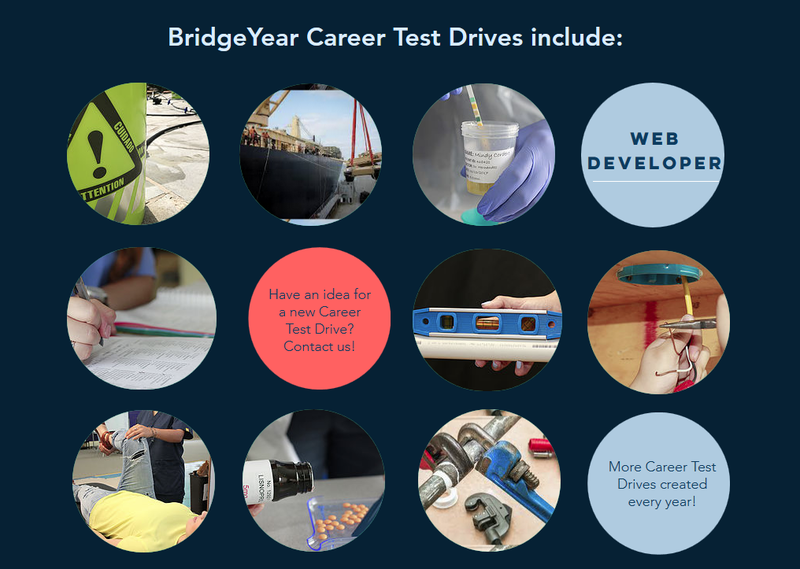 BridgeYear addresses each of these issues through Career Test Drives (CTDs), advising, and pathway mapping. 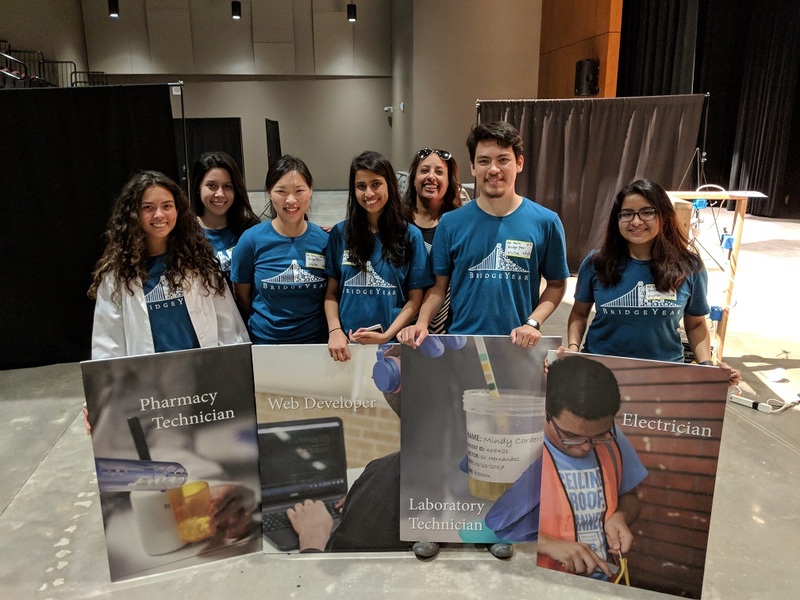 CTDs are mobile fairs that are set up in high schools, in which each student can “try on” a different career and experience what the work is like. This provides students a tangible essence of whether a career is right for them, and exposes them to options they may not have considered before. Interested students are then paired with an advisor, who helps them evaluate their next steps in terms of community college or employment, and guides them through the process. Each int ern is responsible for advising students, running CTDs, and working on their own summer projects. My tasks mainly focus on communications and marketing. I am writing the impact report, sending the board of directors biweekly updates, creating the newsletter, redesigning the website, and developing a social media strategy. This will help spread awareness about the mission, strengthen and refine the brand, and maintain a dialogue with the board, donors, students, parents, and all stakeholders involved. This leads to growing presence and credibility for the organization, which should lead to increased donations and involvement. I am very excited about my work, and can see numerous opportunities for growth and development. Since this is a startup, I am able to take initiative on multiple projects, during meetings, and make decisions to develop my leadership abilities. There is also opportunity to collaborate on different projects, expanding one’s expertise and skills. I hope to bolster my project management and critical thinking through my work, as I need to handle multiple projects at once. In addition, planning, implementing, and testing a strategy for the first time will build my analytical and evaluative skills. Advising students has been highly insightful, as I am able to learn about the purpose and mission of the organization, while directly influencing its final customers. Presenting at CTD fairs is also extremely rewarding, as you are able to see the excitement and curiosity on students’ faces when they succeed at a career task for the first time. This has improved my interpersonal and presentation skills greatly, and offers a great complement to the work I do for the organization internally.